For upcoming events check out our EVENT CALENDAR. For a full archive of past events click here. OPTION is a weekly music salon on Monday nights at Experimental Sound Studio. Its programming explores contemporary perspectives on improvisation and composition in a 'salon' format, enabling local, national, and international artists to publicly discuss their practice and ideas as well as perform—all in the intimate environment of ESS's Studio A. Organized by Chicago musicians Andrew Clinkman, Tim Daisy, and Ken Vandermark, the schedule of concerts represents an insider's view of what is currently most exciting in music and the arts. Shows are professionally recorded by ESS staff, and are nearly always streamed live on youtube. You can view the live stream on this page in the video window below. We are continuing the process of assembling a library of archived streams that subscribers to the series may access at any time. Initiated in 2001, Florasonic commissions artists to create sound installations for Lincoln Park Conservatory's Fern Room. Florasonic is the only ongoing sound installation commissioning program in the United States. Audible Gallery at ESS is a 400 square foot project space focusing on intimate exhibitions that feature or are somehow driven by sound as medium, subject, or a cultural force. Exhibitions are curated by the ESS staff or by other curators and partner organizations focusing on intersections of sound, media, and culture. Gallery Hours: Sundays, 1-5pm or by appointment. 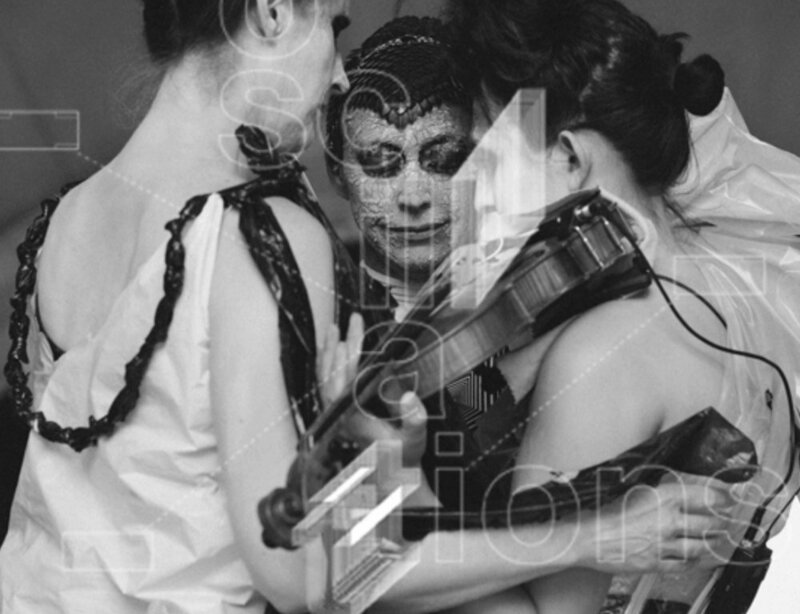 OSCILLATIONS presents concerts by artists selected from submissions received in response to an open call for proposals. The resulting line-ups are remarkably diverse, featuring emerging and established artists working in contemporary chamber music, improvisation, broadcast, installation, electronic music, and more.